The popular TV reality competition show, “Shark Tank”, is packed with tips on how business professionals can improve their communication skills. There are also plenty of lessons to learn about pitching stories and self-confidence. As you probably know, the premise of the program is that aspiring inventors and entrepreneurs give a 10 minute presentation to five self-made millionaires and billionaires. 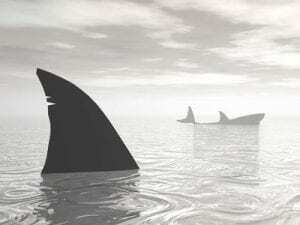 Among the Sharks: Real estate mogul Barbara Corcoran and the billionaire owner of the Dallas Mavericks, Mark Cuban. Each guest requests funding for their idea and offers a percentage of the business. One or more of the Sharks can suggest a modified plan for funding and the piece of the pie when—and if—the business takes off. 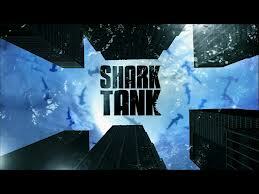 Make no mistake, the program is called “Shark Tank” for a reason. The investment tycoons considering the deals are top notch professionals who have succeeded and struggled in numerous ventures. I imagine it’s quite intimidating to stand before this esteemed group to pitch your idea. They absolutely believe in themselves and their products. From the elderly couple who designed a pair of underwear to capture the smell emitted from flatulence to the young political wonks in Washington, DC who, in their spare time, created a recipe for Barbecue Sauce and Rub, every person who has appeared on “Shark Tank” has had a true sense of themselves. Their willingness to be vulnerable to the barrage of questions and raw feedback on national TV is admirable. They embrace negotiation. Often times, the projections and numbers are off, and the Sharks are fast to point out the ‘real numbers.’ Fledgling entrepreneurs often have to think on their feet to throw out new and more accurate figures without compromising their business plans and credibility. They control their emotions. A certain blend of heart, enthusiasm, and humility is a significant part of a successful pitch. Yes, most guests leave the show disappointed that none of the Sharks invested in their idea. But it’s valuable for people watching the show to see guests draw the emotional line and keep their composure, something that requires a great deal of inner strength. They know how to appeal to the senses. The inventors and creators that are on “Shark Tank” know how to engage the Sharks with visuals, tastes, smells, and sounds. The gym trainer who created special bras for women athletes brought along several women who were wearing different styles of the undergarment. When pitching food or drinks, guests arrive with impressive packages containing samples for each of the Sharks. If PR, marketing, and other communication professionals focused on these four skills and attributes—belief in themselves and products, negotiation, control of emotions, and sensory experiences—I’m guessing we would have a more satisfied and successful workforce. Next articleHow important is it to have a regular corporate event for your company? You have to definetly be on your game and self-confidence is a benefit you need.